Prior to purchasing my practice back in the fall of 2017, I made it a priority to spend some time learning current lens technology, what was available, what advancements were being made, and what products my colleagues were using with good success. I wanted to enter into my practice offering the highest quality of lenses to my patients and make sure the lenses I was fitting would provide optimal vision, with easy adaption. One of my goals is to utilize and prescribe the newest technology in order to create an optimal patient experience from the moment a patient enters my practice, to when they are dispensed their new eyewear. As a practice that relies on Essilor ophthalmic lenses, this newest technology includes Varilux® X Series™ lenses, my go to progressive lens for the modern spectacle lens wearing patient. Essilor has always had the reputation of providing fantastic optics and vision with their products, and have simply raised the bar when it comes to the Varilux X Series. Essilor is known to push the boundaries of what is possible in ophthalmic lens technology. With the Varilux X Series, we have a lens that was designed with modern patient need in mind. In our digital age, lens wearers are multitasking every day of their life. From cell phone, to laptop, to desktop (sometimes with 2-3 monitors), to the clock on the wall, our patients work and social life demands that they are able to see various distances quickly and effortlessly. Learn more about different progressive lens options in this article! Two of the biggest complaints I hear from patients in regards to progressive addition lenses are inability to adapt, and too much head movement required to find “just the right spot” in the lens. I have found these issues rarely, if ever come up with the Varilux X Series. Varilux X Series lenses were designed by better understanding today’s presbyope, who spends most of their time engaging in arm’s length activities. This meant that proper assessment of near vision needs had to evolve, and with it, lens design. Movis™ lab – a state of the art facility that captures data by monitoring and analyzing progressive lens wearers’ movements and posture both in real time and in 3D. Volume of Vision – a brand new measurement never before defined for a progressive wearers – defines space where a patient wearing progressive lenses most needed to have sharp, clear vision. The result was the ability to design a progressive lens that maximizes the range of sharp vision needed at arm’s length – provided by Xtend™ Technology. W.A.V.E. Technology 2® – Provides sharp vision at all distances, even in low light, by reducing the higher order aberrations found in all progressive lenses. SynchronEyes™ Technology – Provides smooth transitions between distance and near zones by calculating the lenses as a matched pair to promote improved binocularity. Nanoptix® Technology – Reduces the “off-balance feeling” common to progressive lenses by controlling magnification between visual zones. The end result is a lens that combines technologies to provide wearers an increase in depth of field and sharpening of acuity to facilitate quick adaptation and superior vision. I have always held the belief that we need to be offering the newest and latest technology to our patients. Don’t they deserve that? When you go to the Apple store, they don’t offer you iPhone 4. While that phone may work just fine, and get the patient through their day, newer technology offers improvements and experiences beyond previous technologies. I believe spectacle lenses, and contact lenses for that matter, are no different. In the exam room, I often say, “Ms. Jones, just as technology is changing daily in your field (discuss here the type of work that they do,) our industry is also changing every day. We are making amazing strides in providing phenomenal vision at all distances, all with less fatigue and faster adaptation. My job is to help you see at your absolute best, and I know that this Varilux X Series lens will greatly improve your life by improving your visual clarity and comfort. I have found that patients are interested in and want to utilize new technology, yet they wait for a doctor recommendation. If you fail to talk about new technology or make recommendations, patients simply might think what they have is the best there is. Learn more about anti-fatigue lens options for millennials. I think we as eyecare professionals should always strive to offer new products that may provide patients the best visual experience. Otherwise, what makes what you have to offer better then anyone else in the area? While we are not conducting studies at our practice, we personally follow up with every patient after dispensing a new product to them with a phone call roughly a week after pickup, and feedback on the Varilux X Series has been extremely positive. I believe that prescribing something with the sole purpose of increasing practice revenue is never a good enough reason to recommend a specific product. With Varilux X Series, I have a lens that provides my presbyopic patients with the best vision I believe I can offer, and has been a great source of practice revenue – the best of both worlds. If the patient purchases the Ultimate Lens Package and a second pair of frames from a participating eyecare provider, they are eligible for a second set of lenses completely free. This has really helped our practice with second pair sales. While we don’t profit on this second pair of lenses, we do benefit on frame sales, and have been able to educate patients on the importance of having a back up pair of glasses. We know that everyone could benefit from a second pair of glasses, and this has certainly helped my practice convey that message. (2016) Studied conducted in the U.S. by Essilor (n=52). (2016) Studied conducted in France by Essilor (n=42). Dr. Matthew Ward is the owner of Valley Eye Clinic, a Vision Source private practice in West Des Moines Iowa. 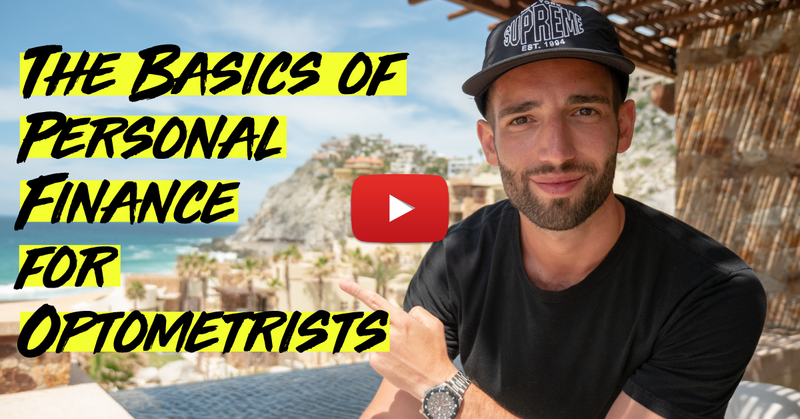 His interests include dry eye management, specialty contact lenses, and how to build and maintain a positive practice atmosphere and culture that inspires others to become the best version of themselves. Dr. Ward has received honoraria for speaking and writing on behalf of Bausch and Lomb, TearScience, Box Medical Solutions, and NewGradOptometry. In his spare time, he enjoys reading, cooking and exercise with his wife and family of 5 children.